We host workshops and annual events where you will never walk away empty handed. From delicious veggies to new skills you won't want to miss an event with us. Learn ancient techniques of making plant medicine with PFP herbalist Beatrix Clarke. These six workshops will teach you about using herbs for health and healing and demonstrate the art of preparing your own herbal remedies. Register for just one or as many as you like! Pre-registration is required. Join ethnobiologist and functional herbalist Hayden Stebbins for a walk through our farm fields and gardens to see the world in a way most people have only recently forgotten. During this walk, we will learn about common introduced and native plants, how to identify them by family, and their edible, medicinal, or poisonous properties. Participants will harvest edible plants along the walk to prepare a multi-course meal combining the harvest with regular food. This will include a wild plant pesto, hummus, a couple of teas and an extra dish depending on what plants and mushrooms are found. Please note: this session and the May 20th session are the same workshop. Please note: this session and the May 17th session are the same workshop. Make your own natural first aid kit for life’s little accidents and discomforts. Learn how to make compresses and poultices. Natural skin care without toxins and chemicals. Get to know the best herbs for a beautiful skin. Learn how to make salves and cleansers. Boost your immune system and clear infections with good nutrition and herbal remedies. Learn how to make tinctures and lozenges. 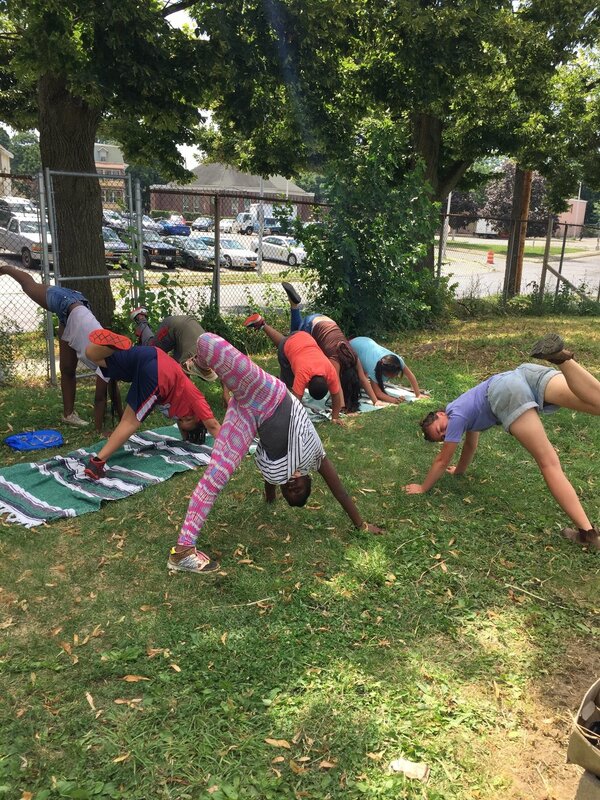 Led by the region's finest educators, the Hudson Valley Writing Project and Poughkeepsie Farm Project are partnering to offer children ages 7 to 9 this unique learning experience. 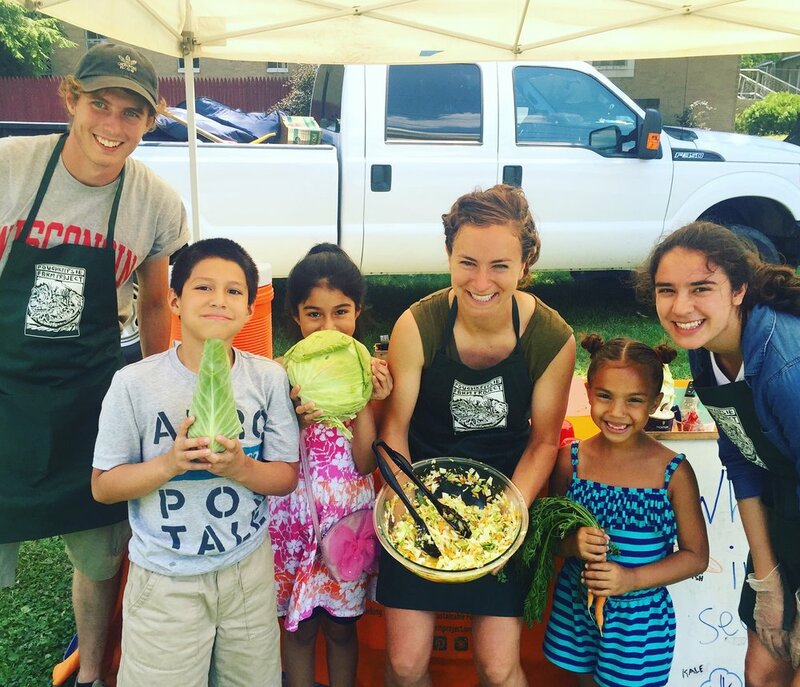 Join us as we explore a community farm together! Hands-on experiences will inspire our writing and creativity as we grow, harvest, cook, and eat delicious, farm-fresh food. Proper digestion is crucial to maintaining health. Get to know how good nutrition and culinary herbs can pave the way to a healthier you. Learn how to make bitters and infusions. Herbs can support bone repair and decrease inflammation in your joints. Get to know how nutrition and herbs can keep you strong. Learn how to make vinegars and liniments. *Please check back regularly as we schedule more community events and workshops! Farm visits for all ages! Come visit us on the farm and see how we operate. You'll learn all kinds of useful information about the good food we grow here and how you can make the most out of it at home.